Yesterday morning I woke up with this phrase ringing in my ears, “His eye is on the sparrow.” I knew it was the lyric of a song, but I didn’t know the song (nor that it was part of Sister Act 2!) or any of the other lyrics and I certainly didn’t know why I woke up with these words in my mind. They were so clear as if someone had spoken them out loud. We had a slow morning yesterday and so as the boys were happily playing I decided to take the opportunity to mull this phrase over a bit more by doodling it (and by playing multiple versions of it on YouTube). As I wrote about a few posts back, we have gone through rather a lot of change lately. In addition to the major recent upheaval we know that there is more change and another move to come in the next few months. But despite knowing this we don’t know what this move will look like, when it will happen or where we are going. Before our move two months ago I had been quite happy to live with all the uncertainty over our future but as the weeks have passed and there doesn’t seem to be any more certainty emerging I begun to start to allow myself to become unsettled and found myself having more and more niggling ‘what if?’ thoughts – what if this next step doesn’t happen in the way we had hoped? What if Joel ends up staying in his current job for an extra year? What if… A million different ‘what ifs’. Stop being worried or anxious about your life, as to what you will eat or what you will drink; nor about your body, as to what you will wear. Is life not more than food, and the body more than clothing? Look at the birds of the air; they neither sow nor reap nor gather into barns, and yet your heavenly Father keeps feeding them. Are you not worth much more than they? I was reminded that I don’t need to be afraid. I don’t need to know the next ten steps ahead and I don’t need to make a million plans of my own. Rather I simply need to be faithful in my here and now, in my every day. I need to take each step of this adventure trusting that the one whose eye is on the sparrow is on me too. What a gift! I thought you might enjoy a bit of Sister Act 2 so here’s a link to the clip from the film where Lauryn Hill and Tanya Blount sing this song. I hope you know the truth of this song for yourself too today. Categories: Faith, Uncategorized | Tags: assurance, Christian faith, Christianity, faith, future, His eye is on the sparrow, hope, Jesus, Matthew 6, sparrow, worry | Permalink. Why we have moved house AGAIN: choosing to participate in the adventure! Recently I have been working through a course called Storyline with a group of friends and together we’ve been looking at the story of our lives so far, the ups and downs, the themes as well as looking for the redemptive perspective – the gold that comes as a result of the bad stuff in our lives. It has been really interesting to reflect on what has happened but also to think about how do I live a great story going forward? How are the choices that I make building into this story or am I always choosing the safe option, the easy way out? Would my choices and my life make the most boring book known to mankind or would there be some good stuff in there; some adventure, some conflict that was overcome, some struggle, some fantastic relationships? This slight shift in the way I think about my own life and decision making has really helped me to deal with some of the huge change and upheaval that have come in the past few months and as I have sought to live a great story courage has risen within me in a surprising way. When I wrote my last blog post 5 months ago (I really don’t know how it has been five months already!!) I wrote about feeling a call to be brave. It was such a strong sense at the time and the message was everywhere I looked. But when I wrote that blog post I honestly had no idea what that would look like at that point in my life. What would being brave at home with two little people actually mean as my life didn’t contain anything that required much bravery at all? A week or two after I wrote the post, an opportunity came up for Joel workwise which would mean a new everything… New job for him, new house, new school for Jonty, new community. Not only this but this opportunity also meant that all of this would be temporary and that we would most likely be moving again next summer (which we were always due to be doing anyway). So it meant an additional house move, an additional new community, an additional mountain of hassle and admin tasks for me! It was quite honestly not that appealing a prospect! But this was an amazing opportunity and very quickly we realised we had a choice to make: Do we participate in the adventure or don’t we? Do we move with where we feel God calling us, embracing all the upheaval that it entails or do we stay put where it is safe and comfortable? At the end of the day, I don’t think that it was really all that much of a difficult decision because I don’t want to miss it. I don’t want to miss out on the adventure or the blessing or the calling because I was afraid or because I couldn’t be bothered with the hassle. I want to be part of the adventure. I want to live a great story with God! So, I put my big girl pants, got out my book of lists on and we just got on with it! We moved just over a month ago, from the suburbs of London back in towards the city, which seems to surprise everyone we meet. We always get the same response, “Oh! Why have you done that? Everyone at your stage of life always moves out, not in!” But we have moved in because it felt like the right thing to do, because it was all part of the adventure! We have been blessed with a wonderful house in a great spot (and I discovered recently that it is five doors down from the house where my great-great grandparents lived over 100 years ago! How strange!). Last week Jonty got into an amazing local school and he started Reception there on Friday. Joel began his new job on Monday and so the new season has well and truly begun. So, the story continues. The adventure continues and I am excited to be part of it! It is my prayer for myself and for us all that we never get stuck, that we never pass the adventure over because we are afraid or we think it will be too hard or we can’t be bothered with the hassle of change. Let’s embrace the adventure and may our lives always tell a great story! Categories: dreams, family, Life, Seasons, Uncategorized | Tags: change, community, dreams, faith, fear, future, God, hope, life, new life, story, storyline | Permalink. You know those times in your life where almost every picture you look at, every word you read, your social media feeds and your conversations all seem to be loudly shouting the same message at you about your life and how you are living it? I don’t get this all that often but when I do I try and sit up and take notice. I am currently in one of those times, where everywhere I turn I seem to be hearing the same message. So when he arrived and we had waded through the mostly awake at night early weeks, and I had recovered from the birth and started to feel reasonably ok and not entirely exhausted all the time, I started to have this gnawing feeling of ‘now what’? I tried to put it off telling myself that my baby was still so little and that I should focus on the boys and this all too short season with them, but still the restlessness remained. I just couldn’t shake it. Don’t get me wrong, I love being a mum and I love being a stay-at-home mum in particular. It is a total joy and privilege to mother these two little dudes full-time and something that I wouldn’t swap for anything. But still I didn’t know what to do about this restlessness. That was a lightbulb moment for me. That was exactly what I was looking for. How could I be most authentically me and keep my dreams alive whilst embracing the precious and all too brief season of mothering little ones? How could I live the abundant life that Jesus spoke about in John 10:10 here and now. When trying to figure out what steps I would need to take to be most me I met with two barriers. In order to do this I would need to be brave and actually articulate my dreams even just to myself (Yikes!). There was the small issue of logistics… when would this all actually happen? It seemed apt, so I bought it with every good intention of reading it (confession: I don’t read books nearly enough/ really at all). Within a couple of days I am half way through and I have already been so challenged about being brave, even if that bravery is only just enough to speak out my dreams. Does anyone else find that hard or is it just me? I have always had these crazy, seemingly impossible dreams bubbling away under the surface that I find difficult to admit to myself, never mind anyone else. I guess because at some level I worry that if I admit to them then I might fail or others might laugh at me or whatever. I don’t know really. But whatever it is, it is hard to name these dreams. So, possibly because he was tired of my restlessness or more probably just because he’s awesome, Joel organised a morning of childcare for me this week so that I could have some time to myself, a mini-retreat. I didn’t go anywhere, but I gave myself permission just to be, to have time to think and dream and pray. And I decided to be brave and write down my dreams. I’m not ready to tell you all what they are but I wrote them in my journal and told Joel about it later. Silly as it may sound it was really liberating and I guess one way in which I can hold myself accountable in keeping my dreams alive even just in a small way. The second thing holding me back is logistics! Logistics in our house are complicated. I have a husband that works weird hours and a lot of evenings and the evening work in particular doesn’t have much of a discernible pattern. There are two kids to juggle, neither of whom is at school full-time yet. So logistics… Are complicated. I know I am not alone in this and that probably all of you face logistical challenges of one sort or another. But logistics can hold us back big time! I watched a Shauna Niequest video on YouTube the other day that totally rocked my world (it is at the bottom of this post. Do yourself a favour and watch it.) It was called ‘What my mother taught me’ and was essentially about all this stuff… It was about embracing the season you are in whilst all the time keeping your dreams alive and pursuing them. In the video Shauna talks about not being limited by logistics and that spoke straight to my heart. I am so excited about a new season of being brave and being more intentional about living my best life. I can already feel the restlessness lifting and that is a good place to be. I’d really like to encourage you to take a moment to think about what dreams have been bubbling inside you that you have been too scared to even admit to yourself. Ignore the logistical challenges, the ‘what if I fail’ and ‘what will people think of me’ thoughts, you can deal with those later. Rather take one brave step and write those things down. Acknowledge them to yourself and maybe one or two of your people and see what happens next. Let’s all be brave. Let’s not allow ourselves to be held back by fear or by logistics. Let’s live our best story and know abundant life here and now! Categories: dreams, Faith, Life, Uncategorized | Tags: annie downs, brave, bravery, choices, dreams, faith, family, future, hope, hopes, joy, life, logistics, parenting, shauna niequest | Permalink. So, Saturday 11 April was a pretty big day for me. I had meant to write a few thoughts about it on the actual day, but in the morning I walked 14.5 miles (23.5 kms) as part of my training for the Moonwalk marathon that I am doing next month, and it just about finished me off! I was barely able to have a decent conversation for the rest of the day let alone write something vaguely coherent! 11 April was my cancerversary! (Yes, that it a real word! Well it is in my book!) It was my third cancerversary. Three years since the language of hospitals and treatment and prognosis stats entered my vocabulary and my everyday conversations. Three years since my normal changed beyond all recognition. I always feel a little apprehensive as cancer milestones approach as sometimes I can be surprised and even completely blindsided by the intensity of my own emotions. How is this day really going to feel? How much of a big deal should I make of it? Should I mourn for what is lost? Should I dance that I am still alive? What is the appropriate response? Despite my anticipation of the event lurking over me in the weeks before, in the end, the day was fairly low key. Epic walk in the morning (during which I got completely drenched in the rain), riverside pub trip in the afternoon with Some of Joel’s family and then an early dinner with my boys in a local diner. 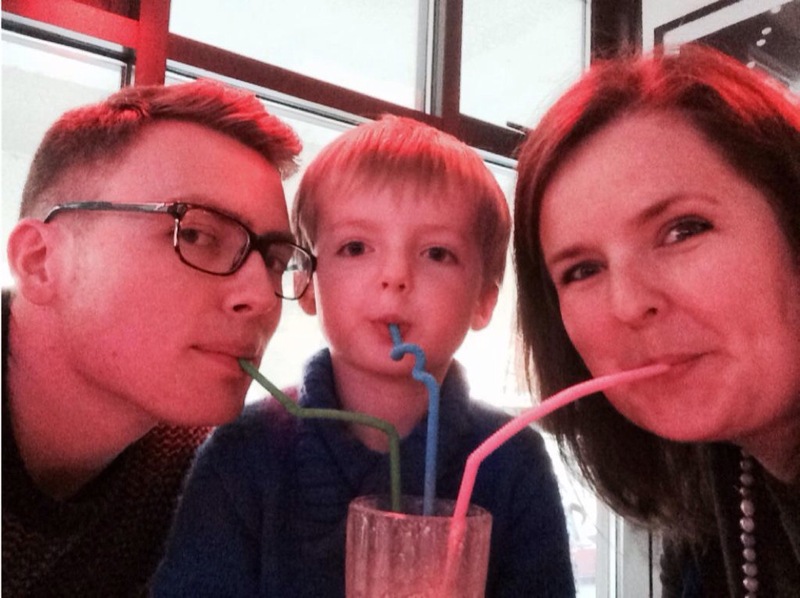 We celebrated that I was still alive by sharing a strawberry milkshake! Joel did ask me if I wanted to talk about it, but I said no. I didn’t need to relive the trauma. It didn’t feel necessary or right. Rather, I just wanted to celebrate life! I just wanted to be normal. It really struck me. It is the message of Easter. But also, it spoke straight to my heart about the hope that has been restored to me through Christ. Through him, I am a resurrection person. I am part of the new life of the Easter story. Even though there have been places of huge pain and difficulty, hope can still rise up again. 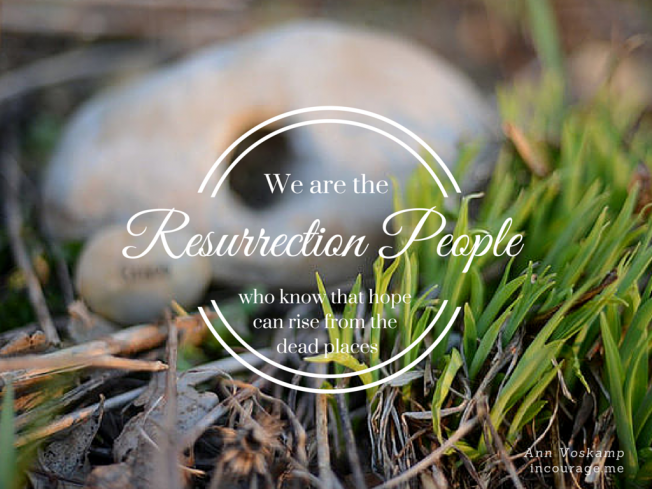 Hope does and has risen in me. 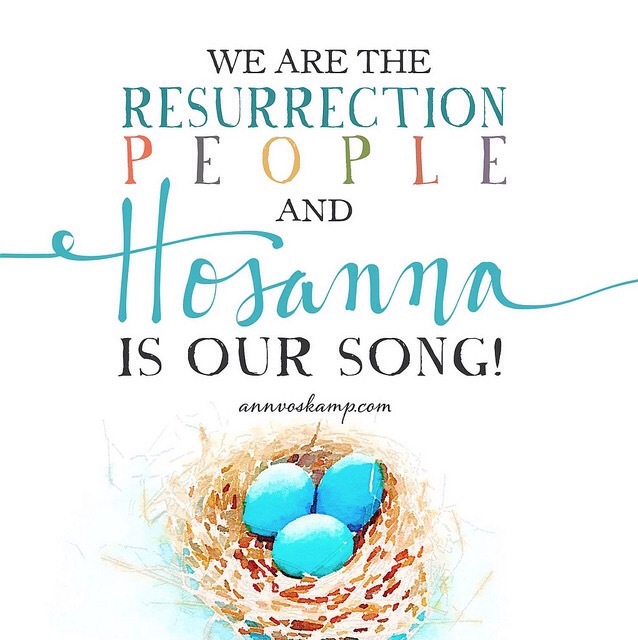 Because I am a resurrection person, because I know new life, because my hope has risen from the ashes, hosanna is my song. Thanksgiving is my song. Joy is my song! So there it is! My third cancerversary has passed. It didn’t floor me. I was able to stand with my head held high and look to the future with hope, standing strong on the new life that Easter promises. What a gift! Categories: Cancer, Faith, Life | Tags: anniversary, breast cancer, cancer, Easter, faith, future, hope, life after cancer, new life, redemption, resurrection | Permalink. This time last year my world changed forever. 11 April 2012 was a warm sunny day in Cape Town. We had been having such a wonderful holiday seeing my parents with our new baby. That day I had what I thought were just more routine tests following difficulty with breast feeding… But as I had yet another ultrasound, I could tell that something wasn’t right… From the changed demeanour of the doctor, from the big dark patches on the screen. This was followed by a mammogram, which was excruciatingly painful on the side with the malignancy and then finally confirmation of a reality that I had not dared to speak. And it was in this moment that everything changed and the bottom fell out of my world. It felt like all of my hopes and dreams had been robbed from me in that instant and they had been replaced by something ugly and difficult, something unwanted, so horrible that some people won’t even say the word. Cancer. In that moment the world seemed a very dark and hopeless place and as I faced my own mortality for the very first time I was terrified. Following my diagnosis we kicked into survival mode, and getting through each day was an achievement in itself. The months that followed were a blur of treatment and tests, countless visits to the hospital and time spent on the sofa. It was gruelling both physically (chemo in particular does nasty things to your body) as well as mentally (the battle against fear is one that I have had to fight with every ounce of strength I can muster). But here I am. One year on. Since my diagnosis I have turned 30, had two haircuts, celebrated my baby’s first birthday, and seen my hope rebuilt. I am now beginning to dream again and that is truly wonderful. I have learnt many things this past year. One of the things I have come to realise is just how much I want to live! And I don’t mean just survive or go through the motions every day. I want to REALLY live! I want to savour each day, take time to be quiet, to enjoy nature, my boy’s development, to pursue my dreams with reckless abandon, to sing at every opportunity, to love my husband and family fiercely, and to run after God with everything I have in me. That is what having cancer has taught me. To really live and to seek the John 10:10 reality of the abundant life that God promises. Categories: Cancer, Faith | Tags: cancer, dreams, fear, fullness, future, haircut, hope, live, restoration, survival | Permalink.